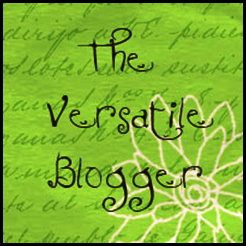 in the past couple of weeks, I have been awarded the Versatile Blogger Award no less than four times. Thus I felt compelled to post about it. 1.Thank and link to the person who gave you the award. 2.Tell seven facts about yourself. 3.Pass it on to seven other bloggers. 4.Link to specific posts on their blogs so they’ll be notified by pingback. So thank you to the lovely people who have passed this award on to me: Rhiann Wynn-Nolet, ReGi McClain, Patrick O’Scheen and Elaine Jeremiah. Seven things about me… at this stage, there’s not much I can say about myself you don’t already know, and the rest… is a secret. – Raewyn Hewitt : fellow Fantasy writer, interesting blogger and wonderful person. – Jessica Montgomery : my lovely CP, currently in the query trenches. – Jani Grey, Serena Lawless, Bridget Shepherd : they’ve all accepted to be my first beta-readers for Lily In The Shadows. They’re awesome. – Lauren Garafalo : leader of ROW80 Twitter sprints and best Cheerleader For Writers in the world. I wouldn’t have written Lily In The Shadows in 5 months if it weren’t for her. – Rachel O’Laughlin : her Epic Fantasy Coldness of Marek is coming out in August! Are you excited? I am! That’s it for the Versatile Blogger Award. I hope you’re having a good Holiday Monday if you’re in the US or the UK. If you’re reading this from another country, I hope you’re having a great day too! This entry was posted in Uncategorized and tagged blog award, EM Castellan, Versatile Blogger Award. Thanks for the award, you secretive thing you. I think we all need to hold onto that element of mystery. Let the stories do the talking!